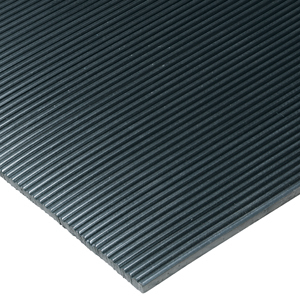 Perhaps our most popular and versatile runner mat is the corrugated vinyl runner. This floor mat runner protects floors and reduces cleaning costs while reducing slips and falls via its added traction. • These 100% vinyl runner mats are manufactured for heavy usage and equipped to withstand most chemicals and cleaning agents and resist curling and shrinking. • 1/8” thick mats up to 150' long & 1/4” and 3/16" thick mats up to 75' long. • Colors available ONLY in 3' wide, 3/16" thick runner mats. From $2.80 Per Sq. Ft.
From $3.64 Per Sq. Ft.